An amazingly arranged Kaju sweet delicacies is sure to make anyone mouth watering. 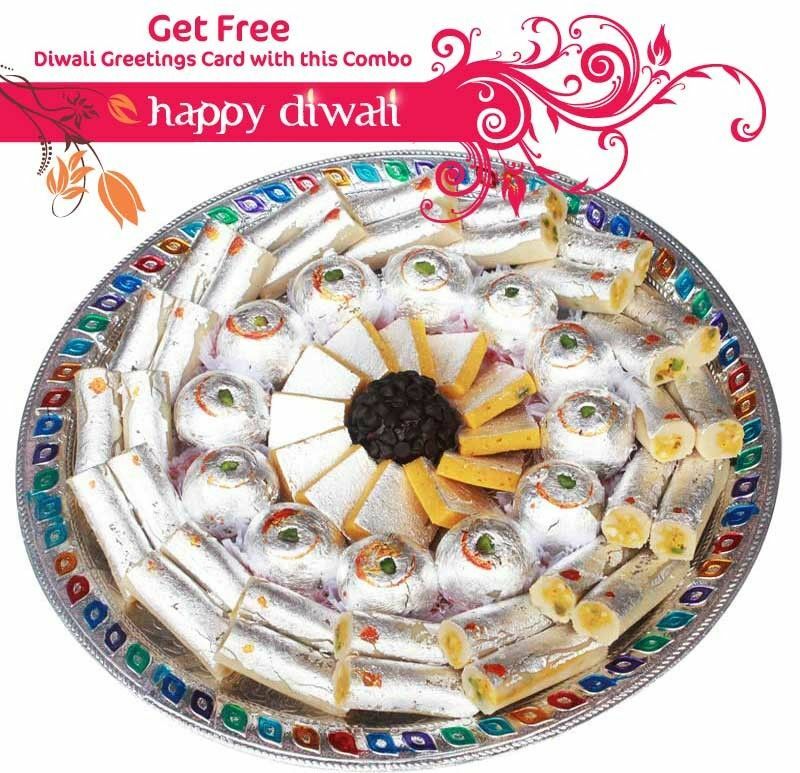 This Platter includes Kaju Roll(520 gm), Kaju Lemon(380 gm), Kaju Kesar Katli (125 gm), Chocolate Dryfruit Laddoo(10 gm) and Kaju Katli(50 gm). A beautiful Diwali greeting card is also included which enhances your wishes for your loved ones.